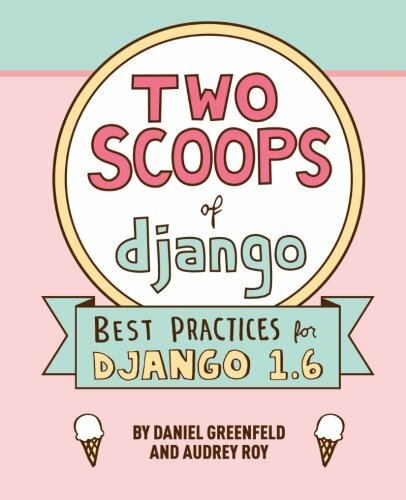 Two Scoops of Django: Best Practices For Django 1.6 is chock-full of even more material that will help you with your Django projects. We'll introduce you to various tips, tricks, patterns, code snippets, and techniques that we've picked up over the years. We have put thousands of hours into the second edition of the book, writing and revising its material to include over 130 new pages of concise, example-packed text containing 5 new chapters and 3 new appendices. What is everyone saying about Two Scoops of Django? I read the first edition cover to cover. The second one raises the bar again. It's pedagogical, entertaining, and thoughtful. -- Aymeric Augustin, Django core developer. A single read-through of Two Scoops of Django gave me so many lightbulbs and tips; I had to go back for a second helping. -- Lynn Root, Spotify engineer, PSF Director, and PyLadies ambassador. You know those lessons you learn when projects blow up in your face? This book contains several projects worth of such lessons. -- Lennart Regebro, author of "Porting to Python 3"
This book should prove to be an amazing resource for any new-to-Django developer that picks it up. -- Kenneth Love, Creator of "Getting Started with Django"